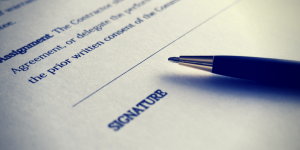 The beginning of the end for automatic contract termination due to an insolvency event. New laws came in to force from 1 July 2018 and restricted the enforceability of termination clauses in certain contracts where a voluntary administrator or a managing controller is appointed to a company. The amendments are part of a raft of recent legislative changes aimed at breeding a restructuring culture and driving entrepreneurship in Australia. When it comes to restructuring, the truth is, as insolvency practitioners, we have long had our hands tied when working with what may be salvageable businesses. A fair chunk of the blame rests on the destructive nature of these ever-prevalent clauses known as “ipso facto”. For those who are a bit rusty on their Latin, ipso facto literally translates to “by the fact itself”. An ipso facto clause in a contract is one that says that if a specific event occurs, then it will trigger some other contractual right. In the context of insolvency, the ipso facto clauses that concern us are ones that say, “if an insolvency event occurs, the contract is terminated”. Imagine a builder with several uncompleted projects that enters into voluntary administration to restructure, which means striking a deal with creditors, keeping people employed, finishing off projects and saving the business from closure…but all its contracts are immediately cancelled due to ipso facto clauses. The contracts simply read “on an insolvency event, such as the appointment of a voluntary administrator of liquidator, this contract is automatically terminated”. The cancelation of the contract may not necessarily be in the contracting entities’ best interests, and certainly not in the best interest of all other affected stakeholders. Undoubtedly, ipso facto clauses can lead to the destruction of value and prevent the successful turnaround of a business. It is also certainly cause for why business owners delay and avoid going into administration. We often see prospective clients looking to restructure through a voluntary administration to save the business, only to shy away when they realise “if ongoing contracts are terminated automatically the minute I appoint you—then there will be no value left in the business!”. The new legislation now puts a moratorium on ipso facto clauses. The legislation applies to stay the enforcement of such clauses in relation to voluntary administrations and managing controller appointments—for the duration of the appointment. Importantly, it does not apply to liquidations, unless it follows a voluntary administration appointment. A key factor to be aware of however, is that the moratorium only relates to contracts agreed and entered into after 1 July 2018. Contracts made prior to this date will be ‘grandfathered out’, and such clauses will still be enforceable. Critically, these changes will not impact a contracting party’s right to terminate a contract for any other reason, e.g. a breach for non-payment. It simply isolates any insolvency-related termination clause. So, if you suddenly find that the party you have contracted with is in administration, you cannot terminate the contract merely because they are insolvent, but you can certainly terminate if they stop performing—assuming that scenario is provided for under the contract. Certain agreements relating to securities, financial products, bonds, promissory notes or syndicated loans. Arrangements for the sale of a business. Arrangements involving a special purpose vehicle for the provision of securitisation, a public-private partnership or project finance. Construction contracts worth over $1 billion entered into before 1 July 2023. Government licences, permits or approvals. Derivatives, securities financing transactions, flawed asset arrangements, margin lending facilities and covered bond arrangements. The management of financial investments. I see this legislation as a real positive, and undoubtedly will give a greater opportunity for the sale and restructure of a business through a voluntary administration. Paul Burness is a member of CAANZt, an Official Liquidator and a Registered Trustee in Bankruptcy. He is also a member of the Australian Restructuring Insolvency & Turnaround Association. Paul has considerable experience in all forms of Corporate and Personal Insolvency and Reconstruction, specialising in insolvency since graduating. Paul is the managing partner of the Victorian firms.